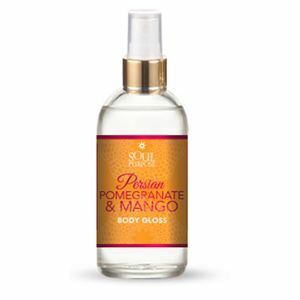 Your skin has natural beauty, waiting to be revealed and adored with our antioxidant-rich Persian Pomegranate & Mango Body Gloss! Spray your entire body with our light, gleaming elixir of herbal oils, healthy antioxidants and nutrient rich moisture. 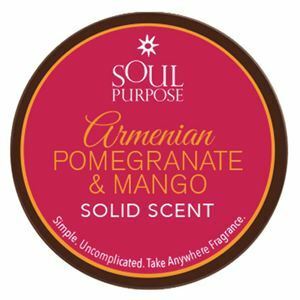 Persian Pomegranate & Mango provides a sweet, citrusy mélange of pomegranate, passion fruit, pamplemousse, mandarin, guava, papaya, pear and a juicy sweet blend mangoes peach melon citrus lily and jasmine. Use after a bath or shower, or anytime. 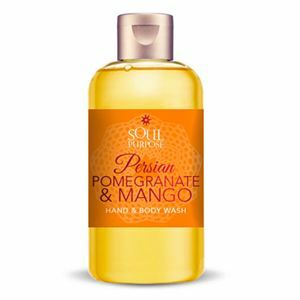 Perfect for massage or pour a tablespoon in your bath for extra moisturizing. Our glosses are made with safflower oil, shea butter, fragrance, acai, wheat germ oil, wild-crafted Oregon grape and red win polyphenols. Designed to let your skin’s natural beauty emerge.